Established in 2010, Albany Empire is the Capital Region’s first Lesbian, Gay, Bisexual and Transgender Soccer Club. Albany Empire provides an opportunity for all individuals to play, learn and enhance their soccer skills in a friendly, yet competitive environment. 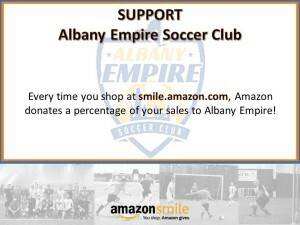 The Albany Empire Soccer Club is a 501(c)(3) non-profit charitable organization. Welcome to Albany Empire LGBT Soccer Team. If you're interesting in joining, contact us today by submitting a registration form. Albany Empire Soccer Club is at Afrims Soccer Dome. Albany Empire Soccer Club shared a post.